Private Harp Lessons, group lessons and ensemble rehearsals are offered on Mondays, Tuesdays and Wednesdays in Eau Claire, WI. 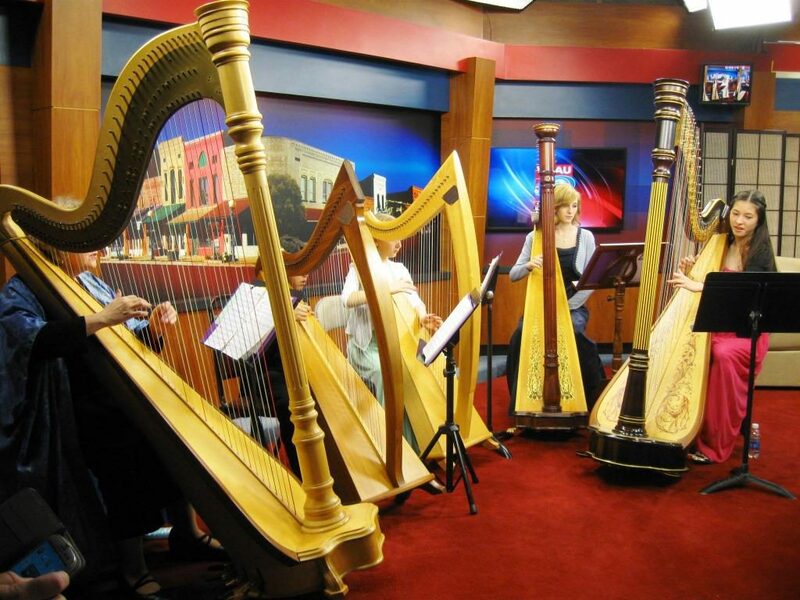 Serena maintains a studio of approximately 40 harp students – the majority are adults who always wanted to play harp! A limited number of 30 string harps are available for Serena’s students to rent for up to one year. or use the contact page – CONTACT ; or call Serena at (715-830-5070) . In the early 1990’s Serena O’Meara would rehearse harp ensembles to perform at functions of various school districts. 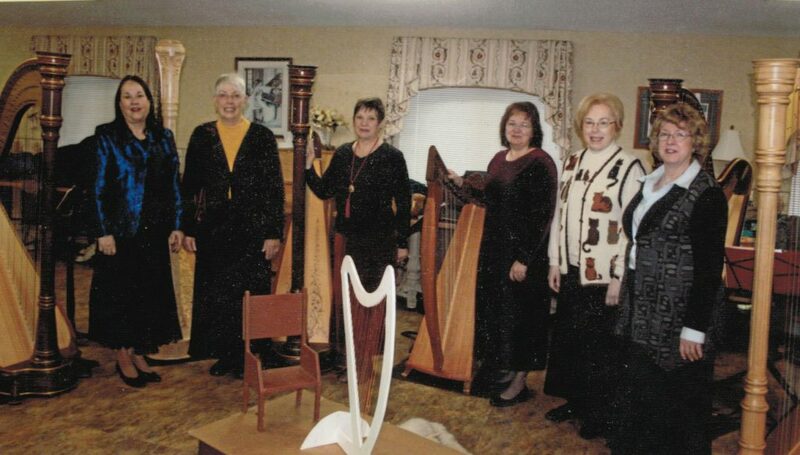 In 1996, an ensemble of harpists from the Eau Claire School District performed the first concert at the Chippewa Valley Museum. 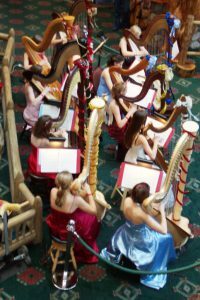 The ensemble was officially named “The Harp Ensemble” in 1997 and was opened to school-age harp students from any school district. Since then there have been 46 Middle and High School students who have worked tirelessly to learn two one-hour shows of music each year. Those students have represented 15 different School Districts: Barron, Bethel Christian, Boyceville, Cameron, Chippewa Falls, Eau Claire, Eau Claire Christian, Fall Creek, Glenwood City, La Crosse, Menomonie, New Richmond, Osseo, Regis Catholic, and Spring Valley. 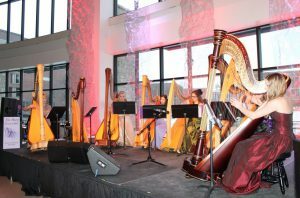 The Harp Ensemble has performed for a variety of events within Wisconsin. or use the contact page – CONTACT ; or call Serena at (715-830-5070). For decades Serena’s studio has offered Mondays and Tuesdays daytime ensembles. Membership consists of adults and homeschool students. In recent years the harpists have gravitated to the names of Silver Strings for the Monday Ensemble and Dynamic Trio for the Tuesday Ensemble. Each December and Spring the Ensembles perform concerts. Beginning Classes are available anytime during the year when 2 or more students are interested. NEITHER the ability to read notes NOR is the availibility of a harp at home required for the three week Experiencing the Harp classes. Harps and music are provided in the classes.